I got an email the other day titled "small business SEO scam"
My name is Ryan, and I head small business outreach for ConsumerAffairs.com. Recently, we started receiving a rash of complaints from small business owners concerning illegitimate SEO consulting companies they have used. These small business owners are paying hundreds (in some cases thousands) of dollars to have these SEO consulting companies remove negative comments from ConsumerAffairs.com. However, these small businesses are being taken advantage of - ConsumerAffairs has no relationship with these SEO firms and there is no way for them to remove comments/reviews about their firms from our site. ConsumerAffairs is very concerned that small businesses are being mislead by these SEO firms, and we are trying to get the word out through small business resource blogs, such as yours. Also, in response to these complaints, we have launched the ConsumerAffairs.com Accredited Business Program. Under this program we alert the small business owner when a consumer submits a review/complaint, and the company is given the ability to respond to the consumer. ConsumerAffairs realizes the majority of SEO firms do incredible work for small businesses and in no way are we grouping these illegitimate firms with all SEO firms. Here is the problem with complaints sites though: so many of them cover all the "evils" of the marketplace without ever covering the positive sides of said industries. The email solicitation to me states that they are aware that the majority of SEO firms do incredible work, but searching their site comes up empty for any such recognition, just complaint after complaint. However you are welcome to pay the complaints site $100 upfront then $10 per month fee if you want to rent their credibility & get a trust badge so you can be accredited to let them disitermediate your customer service. Sorta like "get satisfaction or else." Making things worse for those who run legitimate businesses, the media trains consumers to smear brands for upgrades & on the internet even non-customers feel entitled to crap on your brand if you don't set your wage at $0. And, since many complaints sites are at least semi-anonymous, they also invite competitors to smear each other. The issue with "solve it with a trust label" approach is that people lose faith in a lot of those labels, because lots of trust label sites are less trustworthy than those without them. A scammer always optimizes with an aggressive sales pitch that removes *perceived* risk. It is precisely why the FTC had to crack down on scams wrapped in fake news sites. And who was promoting the fake news sites? None other than the mainstream media (which even promotes the scams on articles about avoiding scams like SEO)! In response to one such hate bait SEO article from a sleazy polarizing news organization I posted about it and flamed them, writing "If people talk trash, lie, and misinform consumers about a topic often enough then they destroy some of the perceived value of that field. Maybe you don't work as hard as I do and maybe you don't help out as many people as I do. But I work way too hard to just not care when a bunch of sleazeballs trash my trade by pumping biased misinformation through a megaphone." In spite of the above outrageous behavior from the "news" organization, some current & former employers from that news organization requested that I update my post to make nuanced clarifications. In other words, they wanted to hold me to a FAR HIGHER journalistic standard than their own employer IN THE FIELD OF JOURNALISM! This is how our current model of capitalism works, if you are not large and parasitic then you need to be labeled as the scammer so the media can paint themselves as the great protector. This behavior is by no means new. Reading up on the history of Western Union & the Associated Press around the time of the Hayes election would make one queasy. Back to the reputation management "SEO scam" mentioned at the top of this article, if a small business thinks they can pay someone a couple hundred Dollars to fix their bad reputation & it doesn't work then were they really scammed? Weren't they really trying to manipulate the market for pennies on the Dollar? Isn't getting scammed the expected outcome when you under-pay for services? Since those are Google ads, they are contextually relevant & the articles about "scam x" often contain ads with pumped up ad copy for the very services that the article allegedly warns against. 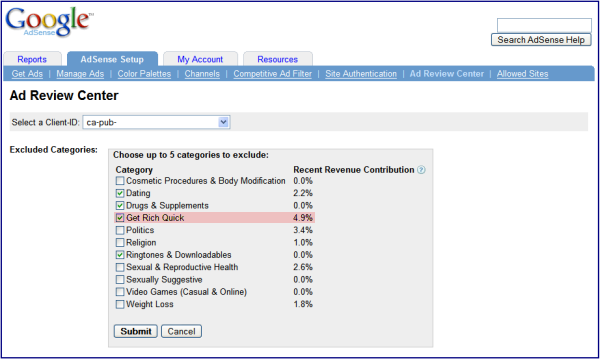 Not surprising considering that Google AdSense has a "get rich quick" category. Why is it that such consumer "protection" services can run ads in the content & simply fall back on this "Advertisements on this site are placed and controlled by outside advertising networks. ConsumerAffairs.com does not evaluate or endorse the products and services advertised. See the FAQ for more information." in the footer? If they wanted to protect consumers, wouldn't they also give you links to report bad ads and/or solicit feedback on them and/or claim some responsibility for them and/or not blend them so aggressively in the content area of the page? I see ads for companies that are criticized on your site. What's that all about? We don't control which ads appear on our site. They are placed by outside agencies. The fact that an ad appears on our site by no means indicates we approve of the product. Same thing's true for an ad in the newspaper, or on television or radio. This seems wrong. How can you take money to advertise products you don't approve of? It's a free country. Companies, even the ones we don't much like, have as much right to advertise as we do to publish our site, just as we have the right to publish critical comments about them. That "use the small print" game is exactly what the aggressive info-marketers do. Assume the laws of human nature are in force and you are not getting the truth when a powerful and politically connected industry is in crisis. It took decades for the health risks of tobacco to come to light. The media was no help until the tobacco industry was already on the ropes. Once cigarette advertising was widely banned and the advertising revenue dried up, it was safe for the media to cover the obvious dangers of a product that killed millions. Only then did the media join in on the side of consumers. Are Standards a Good Idea? 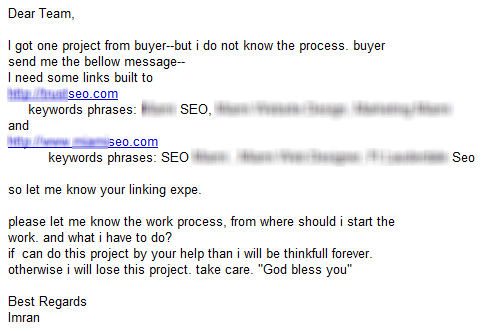 As sad as that email is (telling me they are ignorant of SEO, yet are taking on SEO clients, yet need me to do it for them) it is actually worse than it appears at first blush. Why? The anchor text they wanted me to get was for keywords about SEO, so some SEO who is claiming to sell "professional" SEO services is paying dirt to some poor third world worker & is having that person optimize the SEO's site! 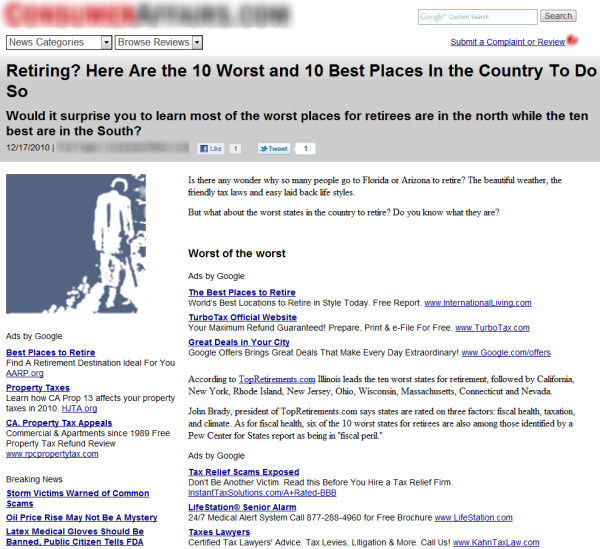 If their services for their own sites are that bad imagine what they must be doing for clients! Any such standardization would require additional constraints on smaller players while allowing "too big to fail" to ignore them. 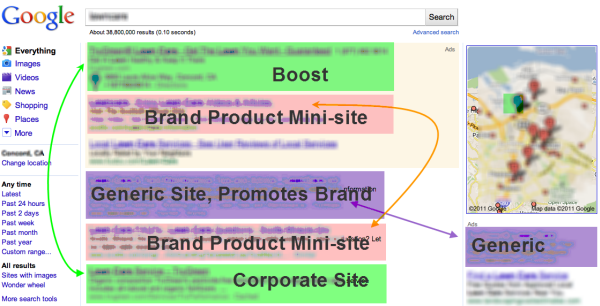 Remember how Google stated that bloggers need to disclose? Well they missed the fact that Google invested in creating automated paid links, and I have even seen ads on Google Finance without any label on them. Nearly 300 people fell ill in central China after eating meat suspected of containing illegal additives, the latest in a spate of contamination problems to emerge even as the government vows to crack down on food-safety violators. The state-run China Daily newspaper blamed clenbuterol, a substance that speeds muscle growth in pigs but can cause headache, nausea and an irregular heartbeat when consumed by humans. People may be a bit more careful with eating some types of meat in China in the near-term, but based on that news story you don't get an immediate "OMG never eat pork" reaction. Yet so many of the scams in the online space (even those funded by Google & those not directly related to SEO) are conveniently labeled as SEO scams. When pharmaceutical corporations hide studies which shows their drugs as being less effective than originally claimed are they labeled as drug scams? New York-based Pfizer agreed to pay $430 million in criminal fines and civil penalties, and the company’s lawyers assured Loucks and three other prosecutors that Pfizer and its units would stop promoting drugs for unauthorized purposes. What Loucks, who’s now acting U.S. attorney in Boston, didn’t know until years later was that Pfizer managers were breaking that pledge not to practice so-called off-label marketing even before the ink was dry on their plea. On the morning of Sept. 2, 2009, another Pfizer unit, Pharmacia & Upjohn, agreed to plead guilty to the same crime. This time, Pfizer executives had been instructing more than 100 salespeople to promote Bextra, a drug approved only for the relief of arthritis and menstrual discomfort, for treatment of acute pains of all kinds. The drug companies now consider criminal fines as a calculable cost of doing business, so much so that the government is now looking to hold executives responsible for the crimes of their companies. The pharmaceutical industry has paid billions of dollars in civil and criminal penalties over the past decade, but the government believes they no longer have much deterrent effect. The new use of exclusion is meant to "alter the cost-benefit calculus of the corporate executives," said Lew Morris, chief counsel for the Department of Health and Human Services's inspector general, in congressional testimony last month. Scammers operate anywhere there is money to be made. They will even claim to follow standards, while doing every dirty thing in the book. But it doesn't mean that everyone in those markets are scammers simply because their business model doesn't have the margins and scale needed to pay off the mainstream media. Thank you for this post and for helping bring light to these topics. It does appear that quite often the difference between the "scammers" and the "quality brands" that Google loves is budget and ability to do widespread harm. Let's make it clear: these are not scammers. I agree with the article for the most part, and appreciate the time and effort Aaron has put in into another quality post, but let's make the following very clear. Scammer - somebody I can easily avoid doing business with if my common sense prevails. Very simple, if you're a competent, level headed consumer, who is capable of carrying out meaningful research and can resist an emotional impulse buy against a logical decision... you're not going to be scammed a lot. That's not to say you will never be scammed, but it's not going to be for tens of thousands of dollars, and I'm sure you will learn your lesson quickly. Now... people who sell $100/month SEO services in a gambling niche, or run a 3-day old "brand new Air Jordans for $20" ecommerce sites, and about 49,283 other wonderful internet based services... fall well within the above mentioned Scammers category. *This is my opinion, and if your low life makes millions on ripping off the poor / middle class, I see your point and you're welcome to disagree with me. Criminals - somebody I can't easily avoid doing "business" with. Metaphorically speaking - if I'm being held at gun point by somebody who has no intention of leaving without any of my assets in exchange for their valuable time... there is no amount of research or logical steps I can take to help myself out at that point. This time, Pfizer executives had been instructing more than 100 salespeople to promote Bextra, a drug approved only for the relief of arthritis and menstrual discomfort, for treatment of acute pains of all kinds. Moving on to my point, people who lobby the government and take grossly unethical, inhumane actions to make a profit at an expense of the economical and physical health of the consumer population... do not deserve to be called scammers, or even people for that matter. I can not easily avoid taking Bextra when it is prescribed or strongly suggested by my doctor. If I give you $10 in exchange for a candy, and you don't give it to me... that's a scam. If I give you $10 in exchange for a candy, but you knowingly sell me poison... that's a crime. Stamping AAA rating on defaulted loans is a crime, not a scam. Dumping tons of toxic chemicals into lakes while running a PR story of how you use an expensive, environmentally friendly process for storing waste is a crime, not a scam. By far, most execs in banking / finance, pharmaceutical, insurance, manufacturing sectors are not scammers, they are criminals. These greedy monsters should be jailed, not fined!